The St. Croix Valley Athletic Association is run entirely by volunteers. Each year we need over 1000 people to step up and volunteer to coach a team, coordinate a division or event, commission a sport, serve on the Board of Directors, or work on field development. Each sport has varied needs. The Greatest Need for SCVAA Football is Coaching, Coaching, Coaching! We will support you with tools, training and all the free advice you desire! There are three different coach positions described below, please consider volunteering your time to help your child's football season to run smoothly. You agree to take full responsibility for a team and be the primary contact for your team with the division coordinator. You should have some knowledge of the game of football, but mostly you will need a desire to interact with youth and provide a role model for sportsmanship. You should be able to commit to participating in nearly all practices, games and events. You agree to assist a head coach to run a team. You do not need to know anything about the game of football however, you will need a desire to interact with youth and provide a role model for sportsmanship. Occasionally asst. coaches are asked to step up and become a head coach if we do not get enough head coach volunteers, we will ask you prior to reassignment. You agree to take full responsibility for a team along with up to two other coaches of your choosing. All coaches must identify the same persons to Co-Coach with in order for the division coordinator to properly assign you and your child to the correct team. Please note this is the ONLY way to get two children from separate households on the same team! Sometimes an abundance of coaching volunteers come from the same school. Every attempt will be made to align these volunteers with the school/teams of their choice. However; the Football Commission will sometimes have to make hard decisions regarding coaching assignments based upon past participation and community feedback. Everyone's understanding and cooperation is greatly appreciated. •Responsible for success and safety of our youth players. •Responsible for all team communications. •Responsible to conduct oneself in a professional manner at all time. •Responsible to keep parents on the opposite side of the field during game times. •Must adhere to only (5 total) including yourself as coaches on the sidelines during games. •Must attend all mandatory Coaches meetings. •Responsible to distribute all game, roster, field and playoff information to parents. •Develop each and every player to their ability. •Must be able to take constructive criticism and parent concerns or complaints in a professional manner. •Must adhere to the Rules of the VAA Youth Football League and abide by established Policies and Standards and ‘Coaches Code of Conduct’. •Will submit to the Commissioner or your Coordinator on any questions, circumstances or approvals. Coaches are selected on the basis of their ability to work with young people and not solely on the basis of their technical football knowledge. Coaches are required to abide by the spirit of the rules and regulations and overall philosophy of the VAA. Coaches must remember that they are role models, mentors and teachers and the program is for the players and not for the coaches. All Head and assistant coaches shall be approved by the VAA Youth Football Board and reviewed with grade level coordinators. They are required to attend VAA sponsored coaches clinics and meetings in order to become certified. No coach will be permitted to coach at a practice or game until certified. Coaches may be evaluated at the end of the season (Appendix C) by an evaluation process which will include coach and parent input. Coaches that perform required duties in a manner acceptable to the Football Commission the previous year will receive first consideration in the following year. Second priority is to qualified parents who desire to coach. Sons and daughters will play on parents’ team. There will be a maximum of four (4) assistant coaches on game days. No coach or assistant will coach a game until the coach has signed a Policies and Standards statement certifying that the coach has read and understands the rules and philosophies of the VAA Youth Football Program. Any player, coach or spectator may be ejected from a game by a referee, or VAA site supervisor(Board Member Present), for any of the above acts. The ejected person must leave the field/park immediately. Refusal to leave shall result in forfeiture of the game and the game shall be stopped. The first ejection will include an automatic suspension from the team’s next game. Further sanctions may be imposed by the VAA Football Commission, depending upon the severity of the behavior. A second ejection will result in suspension for the remainder of the season, including playoff games. 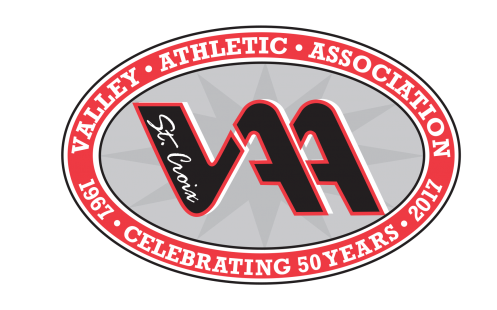 Complaints regarding coaches, spectator, players and officials should be sent to the VAA Football Commission at PO Box 44, Stillwater, MN 55082, or contact Current Commissioner as indicated on VAA Website. Complaints will be reviewed by the commission, and appropriate monitoring and/or disciplinary actions taken. Anyone ejected for the season is entitled to an appeal. They should submit their appeal in writing to the SCVAA President, PO Box 44, Stillwater, MN 55082. A hearing will be scheduled to include the parties involved (players, coaches, spectators and/or referees), the league coordinator, and the VAA Board of Directors. 1.Players and coaches can be suspended for action’s detrimental to the participants and program. Players can also be suspended for parent(s) actions. 2.Individual commissions can act on all discipline issues and take whatever disciplinary action deemed necessary for the integrity of the program. 3.It is recommended that the Executive Board be notified promptly in writing of any disciplinary action within an individual commission before any action is taken. 4.The Executive Board of the St. Croix Valley Athletic Association can review all disciplinary procedures/actions of an individual commission before the individual commission proceeds with its disciplinary action if requested. 5.All parties involved have the right to appeal the decision of the individual commission or Executive Board within 30 days upon receipt of a certified letter from the St. Croix Valley Athletic Association. The appeal must be in writing and directed to the President of the St. Croix Valley Athletic Association or the Commissioner of the individual commission involved.